A land of lore and legend encircled with its ancient 45ft walls should be at the top of your must-see list when visiting Portugal. Fifty-five miles north of Lisbon, the fortified town of Óbidos is considered one of the jewels of Portugal’s national heritage. It is known as the “Wedding Present Town” because it was a gift King Dinis gave to Queen Isabel on their wedding day in 1282. Recaptured from the Moors in 1418, it’s like stepping back in time as you walk through the narrow cobble stone streets lined with colorful houses, gothic doorways, dazzling tiles and whitewashed churches. Its unspoiled beauty is reflected in the Honeysuckle flowers that spill from vibrant window boxes along sinuous streets with romantic recesses, arcades and small squares – all encircled by the medieval walls of a 12th century castle. Within the walls of this stunning town are numerous bars and restaurants whose architectural features span centuries. My stay included a taste or two of Ginjinha, a traditional liqueur made from infused Ginja berries commonly served in small edible chocolate cups. The local medieval style cuisine of spit roasted hog, grilled sausages, snails, cod, quail, rabbit, hog, lamb, squid and hearty soups are offered by twenty different market taverns. A particular favourite dish is Caldeirada, a typical Portuguese fish stew accompanied by special regional wines. Óbidos has a lively calendar of events including recreating the spirit of medieval Europe with a two-week market, a Piano festival and the famous Chocolate Festival. But wait there’s more … with year-round sunshine, picture-postcard Óbidos also makes for a perfect golf holiday destination. Portugal’s Silver Coast is host to a range of championship courses set alongside beautiful sandy beaches, in protected rural landscapes of rolling sand dunes and pine tree forests. Bom Sucesso Golf Course is a superb Donald Steel project. With its winding fairways and huge, well-protected greens, this challenging parkland course on an area of sloping terrain has spectacular views over the Atlantic Ocean and Óbidos lagoon. Green fees are reasonably priced at 90 euros on weekends and 74 euros midweek. Despite being less than a decade old, Praia D’El Rey Golf & Country Club has risen steadily in Golf World’s Top 100 Courses in Europe. A true links golf course spread along dunes, cliffs and pine trees. The blue of the sun-splashed sea and golden sandy beaches dominate the horizon. Green fees are slightly pricier at 130 euros on weekends and 110 euros midweek. The luxurious Royal Óbidos Spa & Golf Resort is a Severiano Ballesteros designed masterpiece. Occupying 65-hectares, this challenging and beautifully architectured course has breath-taking views with six holes overlooking Portugal’s largest lagoon and twelve holes facing the Atlantic Ocean. A true test of golf for players of all levels. Green fees are from 90 euros on weekends and 75 euros midweek. ← Is there anyone left to drink with? Lovely review. Am going to look into booking a holiday there. Thank you. 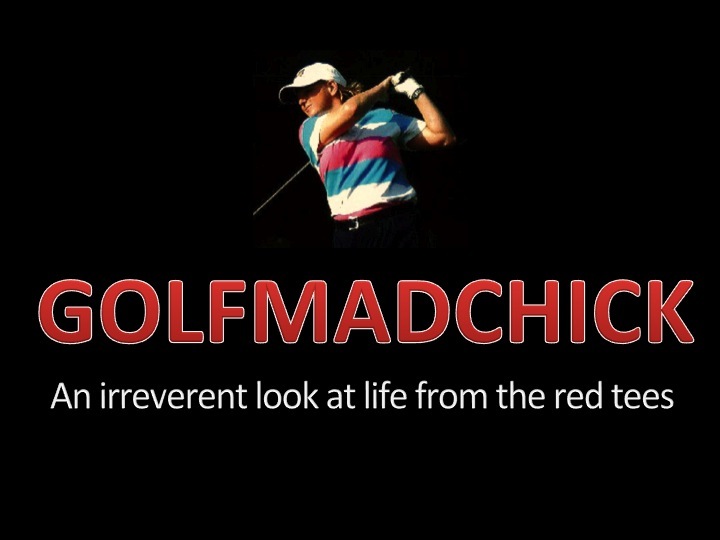 Having been fortunate enough to visit that area a few years ago, I can back up what golfmadchick says. The courses are stunning and Obidos is like a trip back in time. With the state of the European economy since then I guess there must be a host of bargains to be had. I’d recommend it for any frustrated British golfer who is tired of the ‘Course Closed’ sign, temps and freezing your backside off. Time to google ‘golf winter breaks’ I think. Damn right … enough with the big freeze … am consulting Google as we speak! Looks like a nice place, just don’t take your kids there, they could be kidnapped like Madeline, and never seen again. The police ignored all the evidence, and she is still missing.